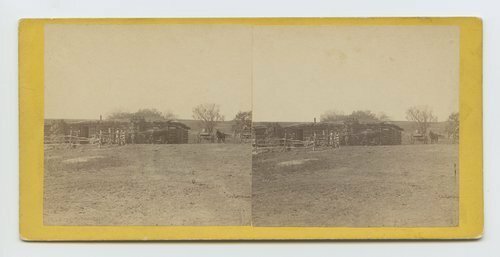 This stereograph showis a ranch at Clear Creek, Kansas, that once served as an overland stagecoach station. It is from Alexander Gardner's series, Across the Continent on the Union Pacific Railway, Eastern Division. Ranche at Clear Creek, Kansas. (Formerly an overland stage station) 498 miles west of St. Louis Mo.